That’s the golden rule in the company where I am working right now. You can’t just do the work you didn’t understand for if after everything turns out to be wrong then you will be are the one to be blamed. And on top of that, not everyone has been blessed to gain enough financial knowledge in life. Looking back we weren’t taught on how money works, how to save, how budget and how to invest when we were young. You grow up nd have your first paycheck only to realize that “money” will play big role in your adulthood. It can make or break your dreams. Financial literacy is important. It is by the lack of knowledge when it comes to money management that problem occurs. 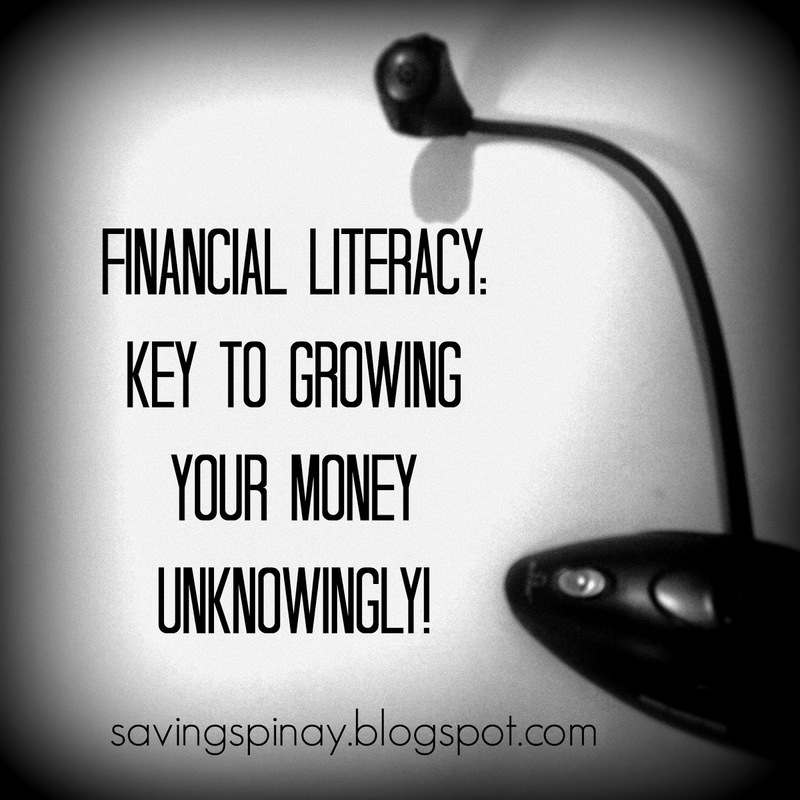 It is the first key to growing and achieving financial freedom. The more you know… The better you will be when it comes to your money. Blogs are just the 21st century authority. Whenever O search something especially reviews and experience on a financial product I will consult Google and find other blogger’s account. I guess it adds that blogs has a personal touch. You can find most of my followed financial blogs in topblogs.com.ph/business+finance. I also love Frugal Honey, The Wise Living, Pinay Minimum Wager and Ramblings of a Weirdo. I started falling in love on the topic of money , finances and business because of books. I me tioned before how everytime I stroll in the mall I will always grab a quick visit on the bookstore and spend an hour just browsing for books in the business and investment section. Just recently I fell in love with Rane Panaligan’s The Law of Leverage as it is an all in one book. I also manage to review books such as Kuntento Ka Na Ba sa Kaperahan Mo?, You Can Be Rich and It’s Your Money. From Entrepreneur, MoneySense to Good Housekeeping… Those magazine just include financial tidbits that could help you gain financial knowledge. If you are easily bored with long passages of books then maybe a magazine style will be better. You can just browse this when you have time and you’ll be good. This also appears to be more on the visual side. The best way to gain financial knowledge will most probably be attending seminars. In seminars there will be a focused topic that you’ll enjoy learning with the others. You will be listening on a financial educator that can be your mentor too. Financial seminars here in the Philippines can be mailap and even pricey but they are all worth it. Attending talks and workshop is the best option for you can actually start applying the concepts too. I love attending seminars even if not financial related for it will always be a fresh experience for me. Just remember that investing in your financial knowledge is one of the most important lessons you will learn in personal finance. If you are aware on the ins and outs of the topic you’ll sure be better in handling and managing everything. Let the information flow and you’ll never go wrong, just like what I said on my post Investments Gone Wrong… There are times that it is the lack of information that lead to mistakes in financial decision. Be wiser than ever.